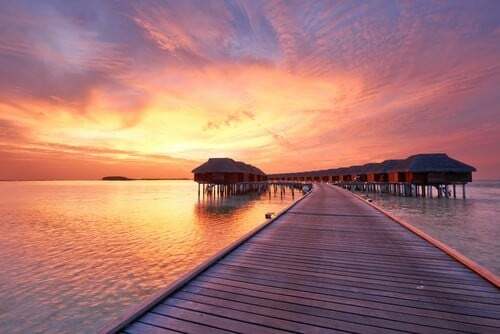 If you are seeking a leisurely holiday, the Maldives will satisfy your needs. You will be greeted by a cocktail of paradisiacal beaches, rich marine wildlife and turquoise lagoons surrounded by corals and incomparable islands. This archipelago which is formed of 26 islands promises a holiday rich in nature and luxury. Diving enthusiasts will be offered some great opportunities in the Maldives. A trip to the wonderful unspoilt islands of Haa Alifu, Raa or Baa will offer you many water activities such as surfing, water skiing, kayaking, and canoeing. For more of a cultural experience, take a short break in the Malé capital. Be respectful of traditions in the Maldives since you are not allowed to wear daring clothes or religious objects. Last Updated: November 02, 2018 16:28 ESTThe Health tab was updated - travel health information (Public Health Agency of Canada). In the event of unexpected accidents and illnesses in the Malvides, the ADK Hospital in Malé will provide satisfactory care. However, in more serious situations which require medical evacuation, ambulance services are on hand at any given moment. Although the islands are not particularly risky, it is wise to take some basic medicines with you, especially if travelling to more remote areas. It is recommended to bring remedies for stomach aches, as this is a common problem due to food consumption or changes in climate. Ambulances can be reached by calling 102. Are the Maldives Safe for Travel? Do I Need a Visa to Visit the Maldives? Both, a visa and a passport are required to enter the Maldives. The passport must be valid for at least six months beyond the date of departure. Please note that this is the website for the Canadian Embassy in Sri Lanka. There is no Canadian government office in the Maldives.